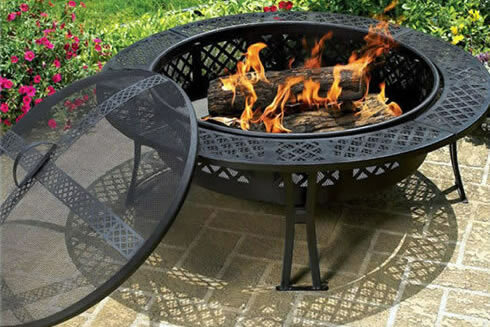 The CobraCo Round Bravo Fire Pit features a robust steel structure with modern mesh screen side frames to enclose the fire and reduce sparks, while presenting a beautiful warm display. 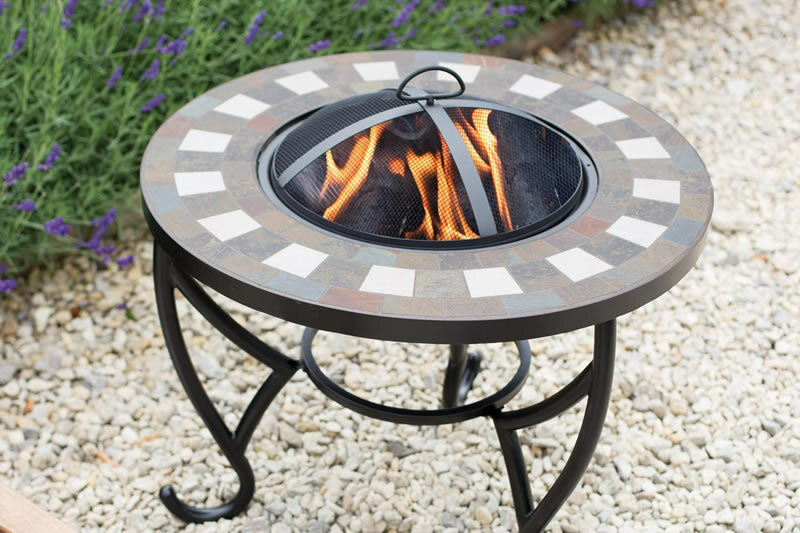 This fire pit comes complete with a nice vinyl cover protect it when not in use and is a great way to enjoy your garden for longer when the temperatures start to get a little cooler. This fire tub is constructed from hand hammered copper so has a rustic charm, it will also weather like any other natural material that’s left outdoors, so the copper finish will change over time to leave a unique appearance. 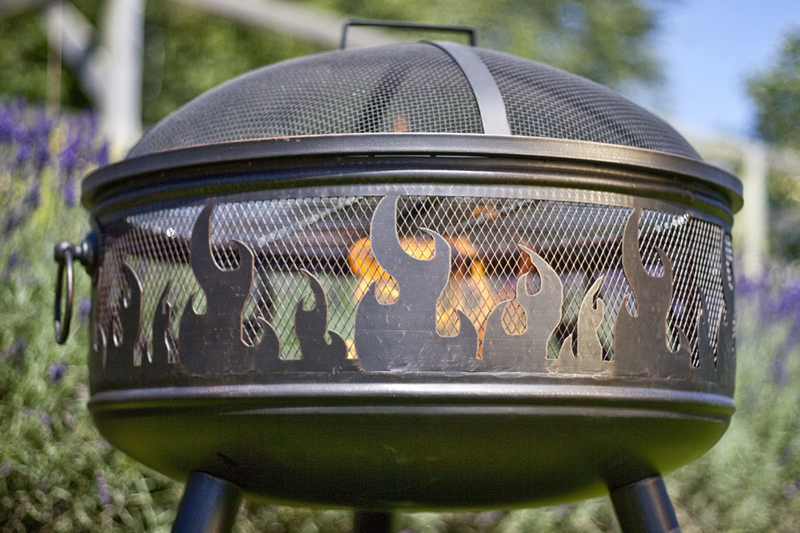 The firepit measures just 30 inches by 18 inches high, yet offers plenty of warmth on cold evenings. 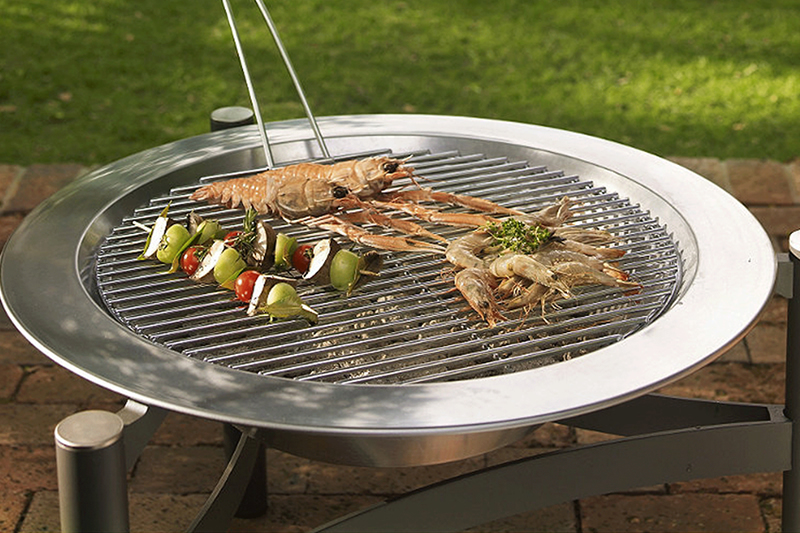 The CobraCo Diamond Mesh Fire Pit can help you make the most of your garden during both summer and winter nights, family and friends can stay warm and cosy around this sturdy steel firepit with its stylish diamond-grid design. This is definitely a functional feature, in addition to the highly effective warming, there is a handy 5 inch ledge for drinks or snacks. But it looks great too so is an ideal decorative conversation piece for social gatherings and you will find it’s easy to spend hours around this firepit. The accompanying fire pit screen means no embers flying around either! This fire pit is easy to put together, yet feels nice and study. 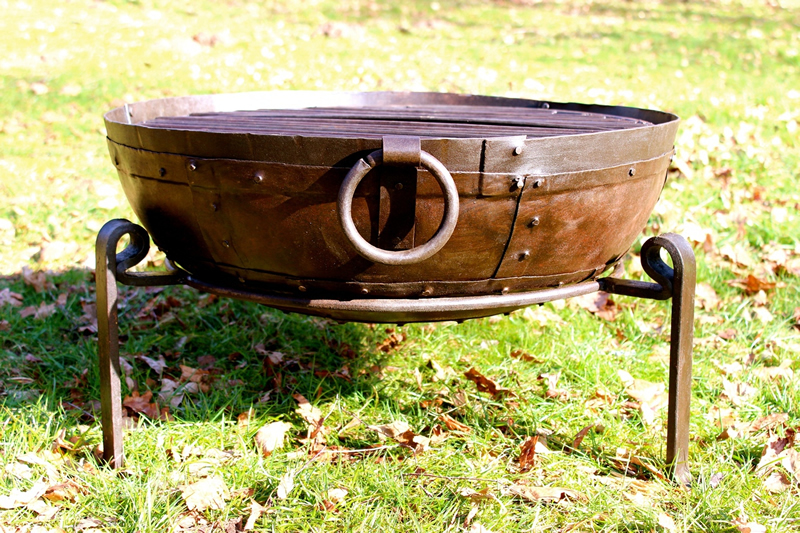 It is an attractive item though a bit heavy to carry, but this due to the large base which makes this firepit veer difficult to tip over – a useful safety feature! The base of the firepit is also finished in an elegant bronze finish scroll while the actual firebowl is a black powder coated finish. Another CobraCo firepit which comes complete with screen and cover – why don’t all manufactures do this? This cast iron fire bowl has a nice elegant copper finish with embossed scrolls on the black metal legs. The bowl is just under 30 inches in diameter and is perfect for large or small gatherings, and the included vinyl cover protects the fire bowl when not in use. The included wire screen precvents flying embers and is coated with a high temperature paint. 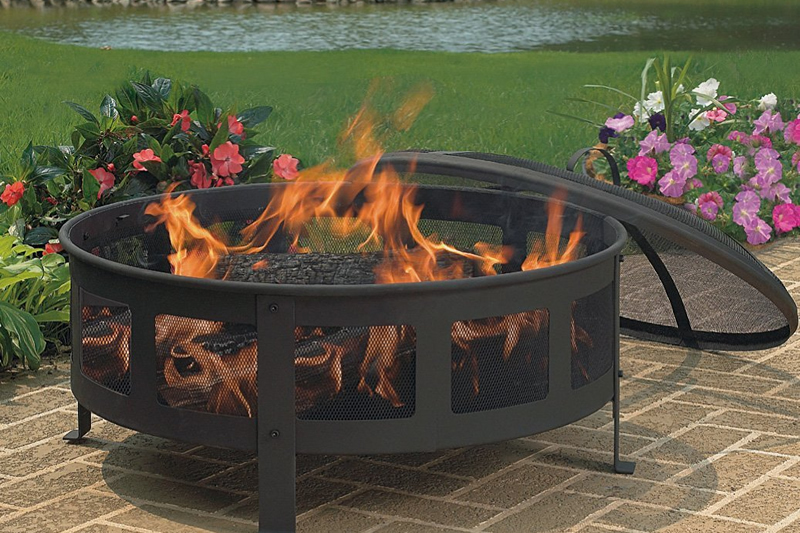 This steel fire pit is durable and sturdy, ready for use just minutes after opening the box. 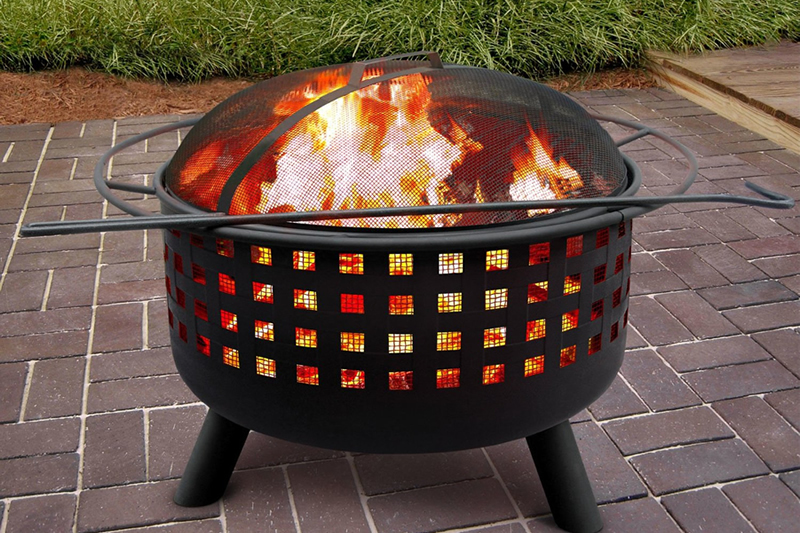 At 20 lbs, this fire pit is easy to move around and you can even take it camping. 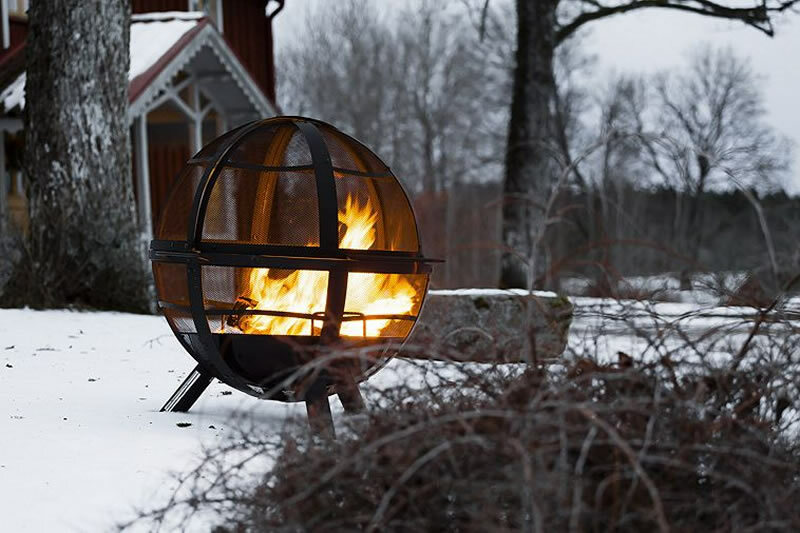 Another great lightweight and easy-to-assemble firepit from CobraCo which comes in a traditional temperature resistant black finish with decorative scrolled legs. The item measures 30 inches by 4.5 Inches deep, and comes complete with protective mesh screen, removal tool and vinyl storage cover – so is ready to go with everything you need in the box.